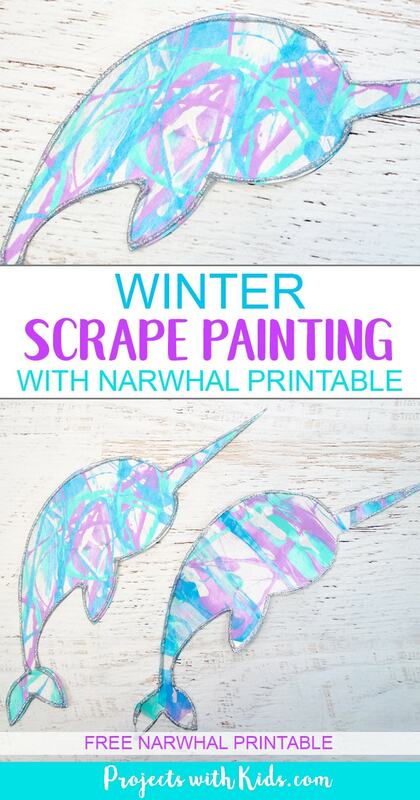 We loved creating our bunny silhouettes with scrape painting and wanted to make another project using the same technique and these narwhals turned out great! One of the things I love about this art project is that it is easy enough for preschoolers but older kids will also love making it. 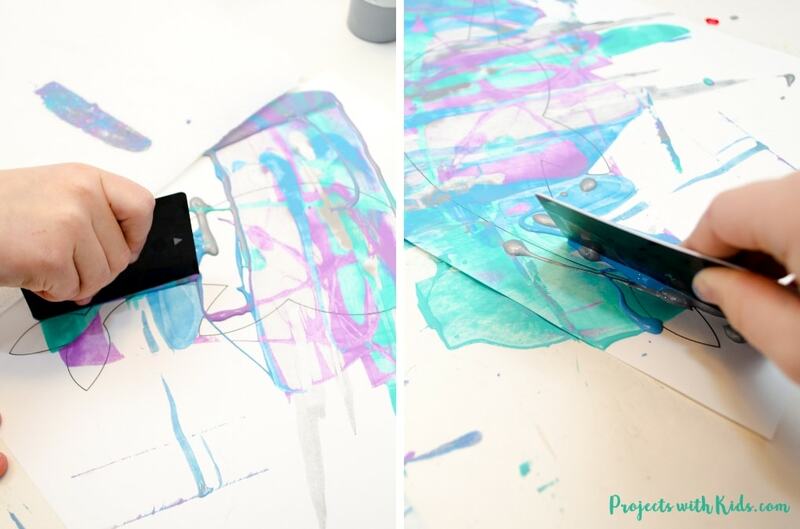 Drizzling the paint onto the paper and scraping it away to reveal your design is an engaging process that kids will want to do over and over. I created a narwhal printable for you to use as a template, all you have to do is print it out on cardstock. This printable is available to my email subscribers as part of my free resource library. You can sign up for my email newsletter below. Once you have confirmed your subscription, you will receive a welcome email with all the details. 1. First, download and print out your narwhal template onto white cardstock. Scroll down to sign up for my newsletter and gain access to my printable library. 2. Get your paint colors ready. We used blue, turquoise, purple and silver. 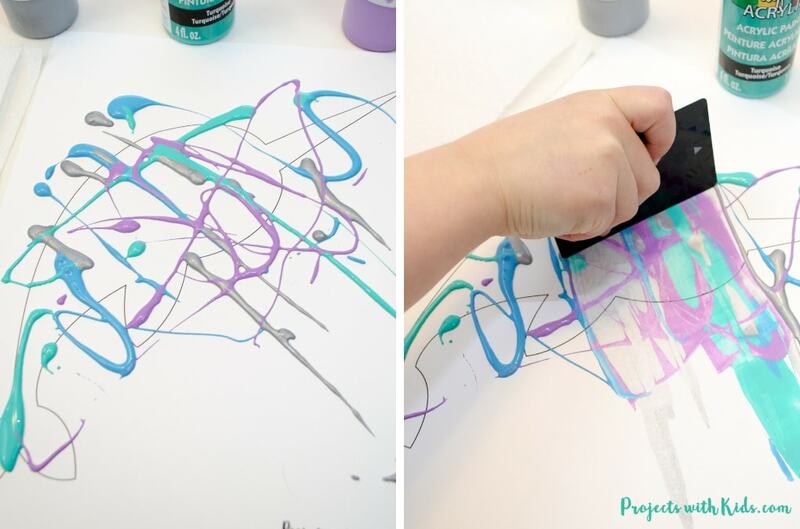 This is a very messy art project, so you will want to make sure that the kids are dressed appropriately and that you have lots of paper towels on hand. You might also want to cover your table with newspaper to help contain the mess. 3. 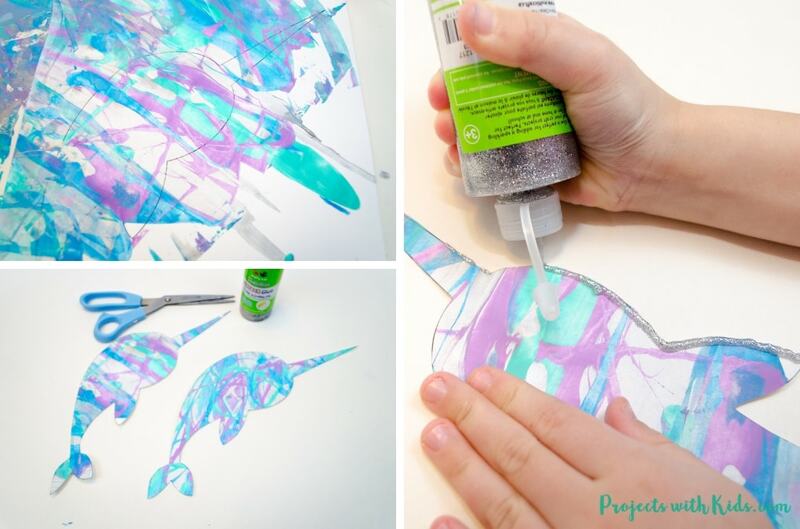 Let kids drizzle their paint onto their paper. 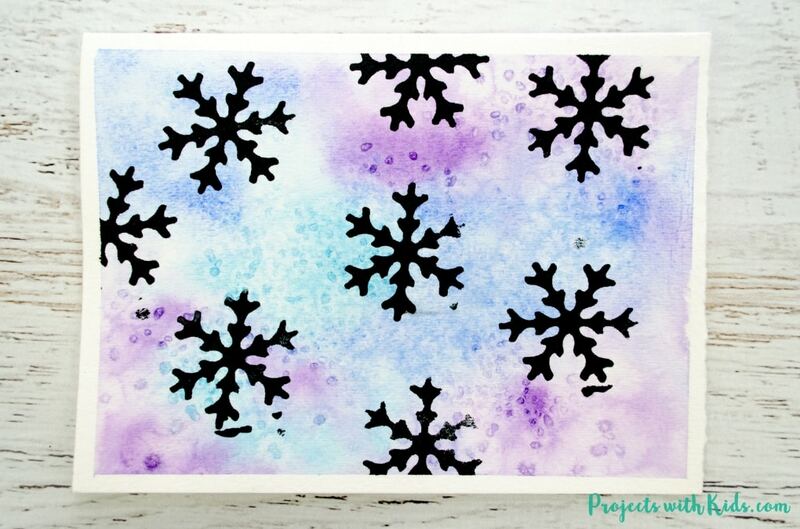 This is fun for kids to experiment with, they can try drizzling the paint on in different ways to see how that affects the pattern when they start to scrape it. Remind kids when they are squeezing out the paint that less is more, if they squeeze out too much it just becomes a muddy mess. This might take a bit of practice for some kids. 4. 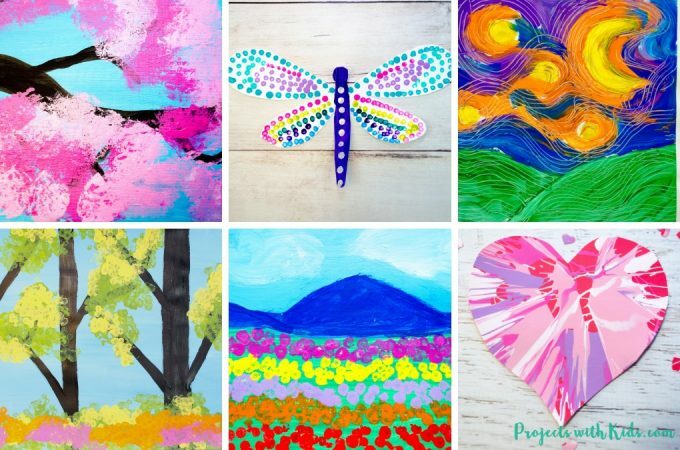 Once kids are done squeezing the paint onto their paper, it’s time to scrape it away to reveal all of the interesting designs and patterns! 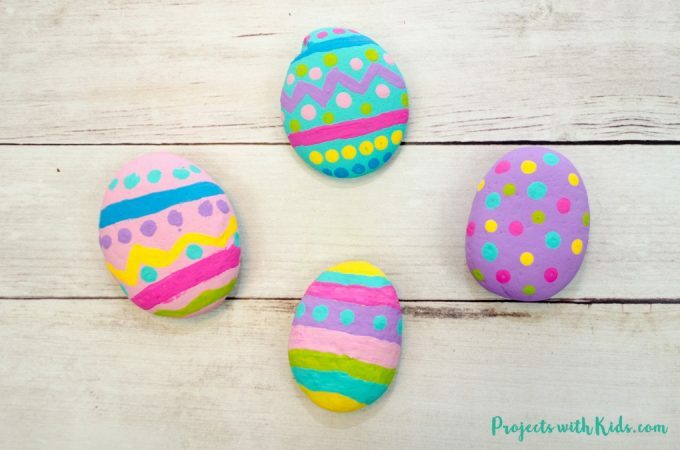 This is such a fun process to watch and kids will want to do this over and over. We found that scraping the paint in the same direction gave the best results. You can use old hotel cards, credit cards or even stiff cardboard to do the scraping technique. 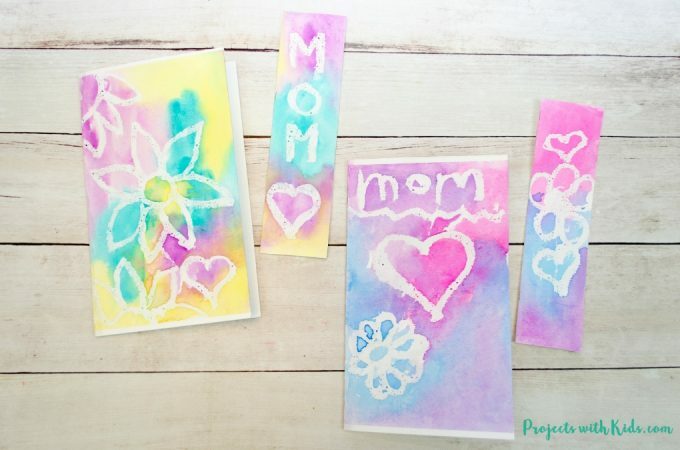 As the kids are scrapping the paint away, they can wipe their card onto paper towels to get rid of the excess paint. 5. 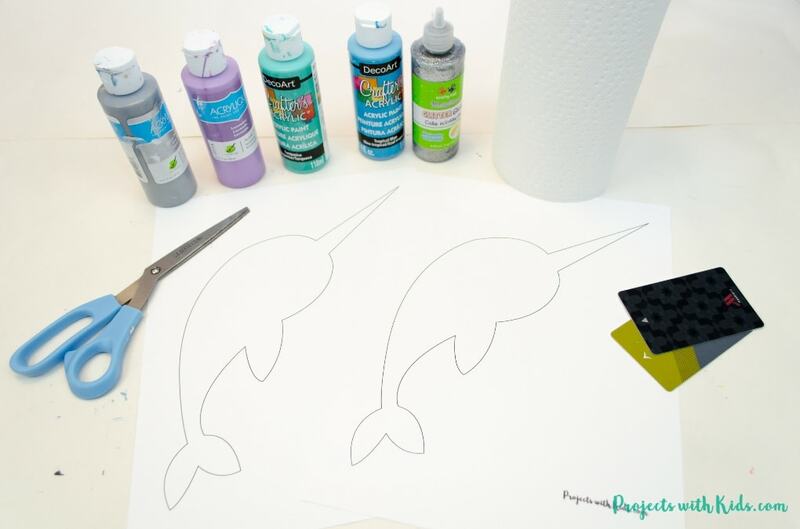 Let the paper dry completely and then cut out the narwhal shape. This is a great opportunity for kids to practice their scissor skills. 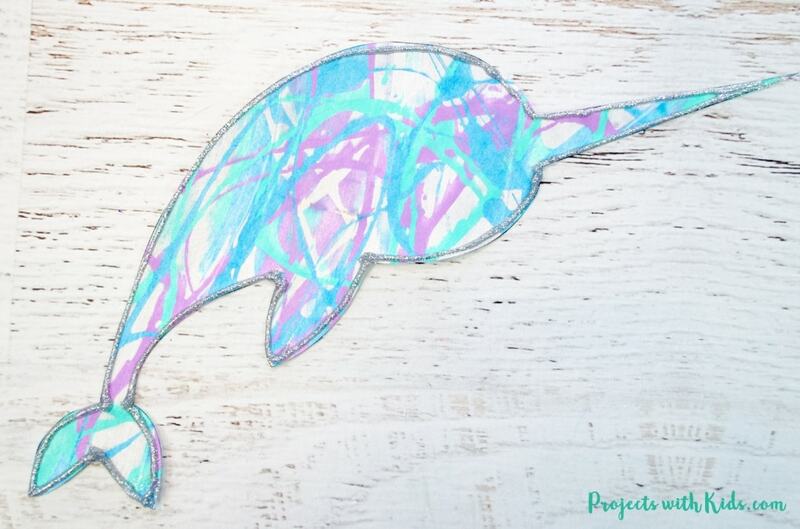 Kids can then edge their narwhal in silver glitter paint for an extra sparkly touch. 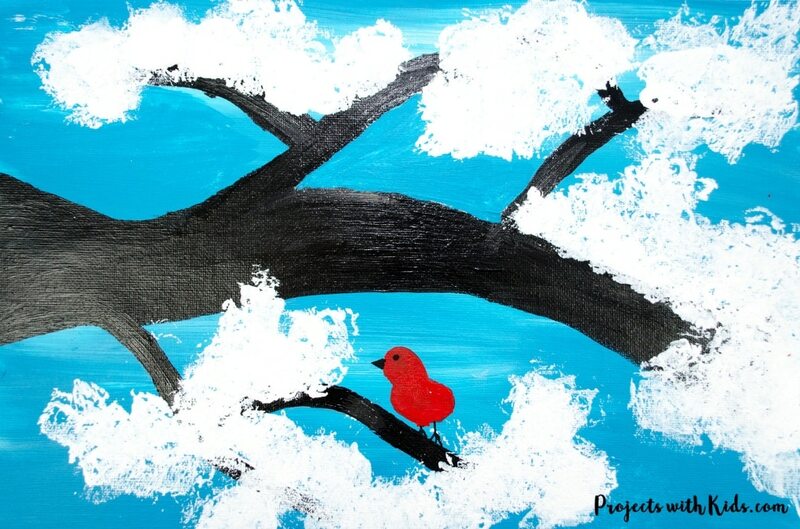 I just love how our winter scrape painting project turned out. 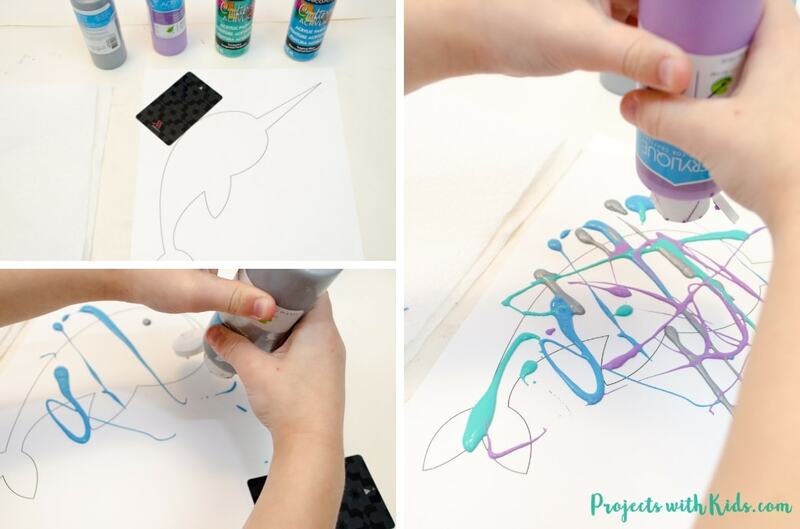 Using a narwhal shape and icy winter colors make this a wonderful winter process art project that kids of all ages will love to create. You can click here to sign up for my email newsletter to receive your narwhal printable. After confirming your subscription, you will receive a welcome email with all the details. Hi! 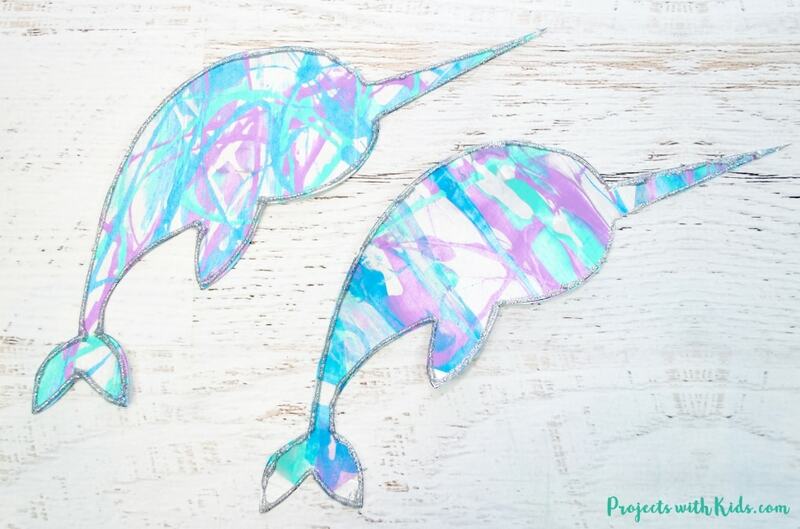 I would like the printable for the narwhal project but I cannot find the link on this page. This is so cute. I am going to share this on my facebook page and hopefully we will have time to try this out sometime soon. Thank you so much for the post. I love your cafts. Good morning, I love this idea and I think my school age kids would too. 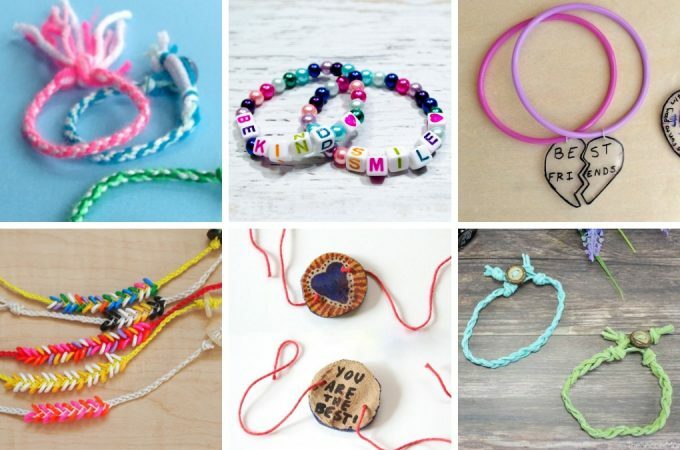 Would you please email the printable as I cannot find it on this post? Thank you so much! Hi Gina, I sent you an email with all of the details.